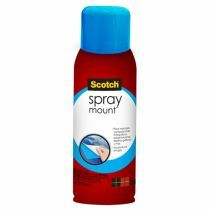 SCOTCH® SPRAY MOUNT? 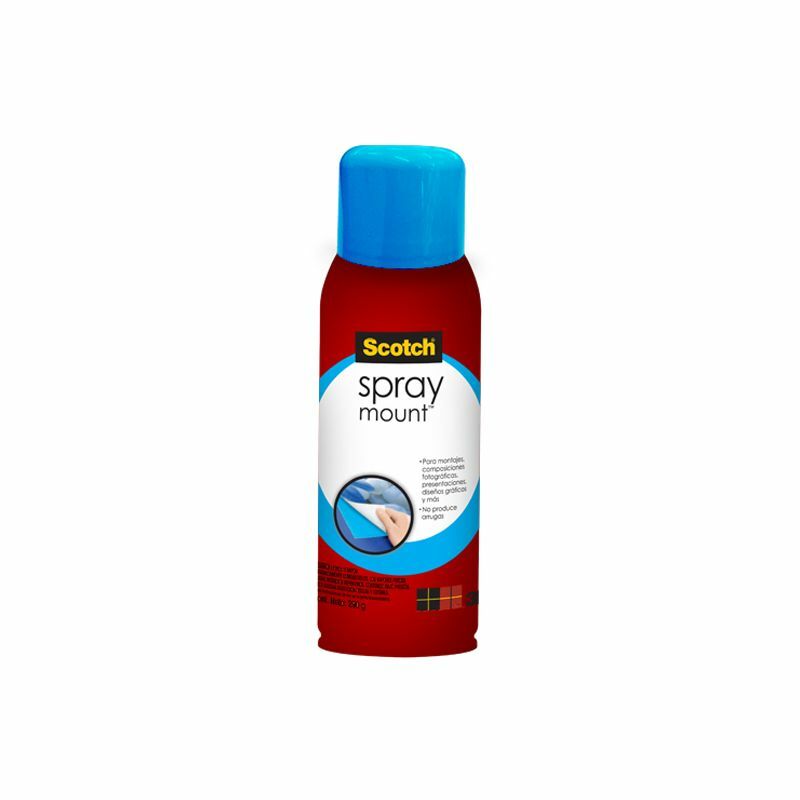 ADHESIVO EN AEROSOL REPOSICIONABLE Y TRANSPARENTE FORMULADO ESPECIALMENTE PARA UNIONES TEMPORALES. L ADHESIVO ES REPOSICIONABLE SI SE LE DEJA SECAR HASTA 1 MINUTO. IDEAL PARA UNIONES TEMPORALES. PEGA GRAN CANTIDAD DE PAPELES, ACETATO, PAPEL ALUMINIO, TELAS, TEJIDOS LIVIANOS, PAPEL PERIÓDICO Y MÁS.